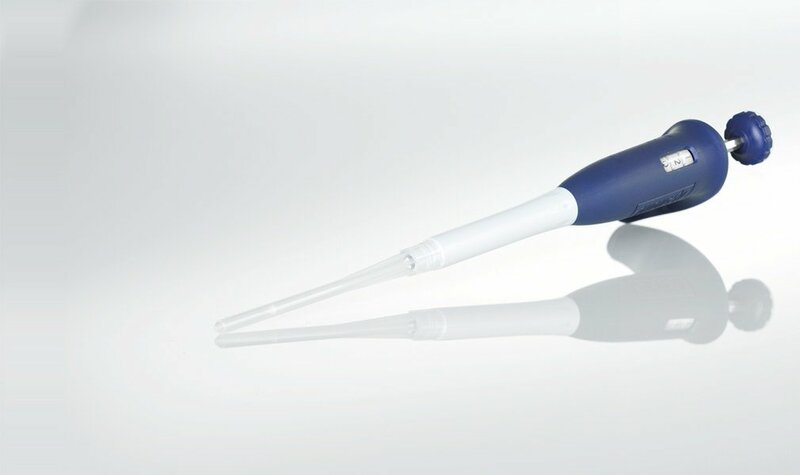 Problem-free pipetting of problem Liquids: The Positive Displacement Pipette Pos-D is specially suited for liquids with high densities, viscosities or vapor pressures. A disposable piston, which moves within a plastic capillary, makes direct contact with the liquid. The positive wiping action of the piston against the capillary wall assures complete dispensing without droplets. Given the disposable capillaries and pistons, positive displacement absolutely eliminates cross-contamination from aerosols, samples or pipette. The pre-assembled capillary tips are easy to use and also fit Gilson Microman®. Volume control. Always visible display. Easy to load. Pre-assemled tips in racks.